OKLAHOMA CITY (AP) — Jury selection is underway for an ex-Oklahoma zookeeper and former candidate for governor who's charged in an attempted murder-for-hire plot. SANFORD, Fla. (AP) — A Florida school district says a teacher should have asked before reading a picture book about gay bunnies. NEW YORK (AP) — Relax, John Oliver fans. He's not really quitting. It was all a joke. The host of HBO's "Last Week Tonight" said Sunday that he'd achieved all he'd wanted for the show by having an Australian animal hospital's special ward to treat a chlamydia outbreak among koalas named for him. "Goodbye, forever, everyone," he said as stagehands broke up the set around him. "I regret nothing. I regret nothing. My work here is done." ANCHORAGE, Alaska (AP) — A celebrity jockstrap that's been the buzz of Alaska for nearly two weeks went on display Wednesday at one of the nation's last Blockbuster video stores in an effort to ramp up business. NEW YORK (AP) — After its second week of publication, James Comey's "A Higher Loyalty: Truth, Lies, and Leadership" remains a popular book. But the pace of sales has slowed. The former FBI director's highly anticipated memoir sold more than 86,000 copies last week, according to NPD BookScan, which tracks about 85 percent of physical book sales. NPD recorded more than 300,000 sales for the book's opening week. Russell Crowe has commended John Oliver for buying his second-hand jockstrap. The Oscar-winning actor his 54th birthday by holding a huge sale of his belongings, dubbed the 'Art Of Divorce Auction', in reference to his split from wife Danielle Spencer. Comedian Oliver revealed on 'Last Week Tonight' that the late night show had used a stash of their HBO budget to purchase several items from the sale, including $7,000 for the jockstrap Crowe wore in his 2005 boxing movie 'The Cinderella Man'. NEW YORK (AP) — Wyatt Cenac, the latest entrant in late-night television comedy with a series that debuts Friday on HBO, took inspiration from John Oliver in his desire to inform along with being entertaining. For the second time in a little more than a year, an Emmy-winning HBO show had fun mocking a San Antonio TV host’s celebration of a special day. Last March, “Last Week Tonight with John Oliver” took aim at Esteban Solis, co-host of KABB’s local lifestyle show “Daytime at Nine,” for his clunky attempts to pay tribute to International Women’s Day. Is the morning news format that fuels Mike Jerrick’s ‘weird uncle’ shtick on its way out? 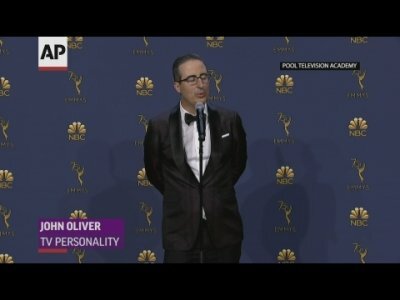 NEW YORK (AP) — John Oliver has trolled his way to the top. The HBO host's spoof of a new picture book by the wife and daughter of Vice President Mike Pence was No. 1 on Amazon.com and out of stock as of midday Monday. BISMARCK, N.D. (AP) — The new year will bring North Dakota a new law forbidding political candidates from making personal use of campaign funds. The legislation closes a loophole that could have allowed politicians to pocket campaign cash, a prospect that worried many newly elected lawmakers and was even mocked by HBO comedian John Oliver, who in 2015 took aim at North Dakota's oil industry, its allegedly lax regulations and its political system. John Oliver’s career bloomed before President Trump took office, but it’s certainly been fertile pastures for HBO’s “Last Week Tonight with John Oliver” in 2017. The British import Oliver, seen previously on Comedy Central, “The Daily Show” and NBC’s sitcom “Community” and heard as Vanity Smurf in two Smurf movies, has a ready standup act, also. And he’ll help Foxwoods Resort Casino close out the year of the Donald with four comedy performances this week at the Grand Theater. NEW YORK (AP) — Net neutrality is a simple concept but a dense and often technical issue normally discussed in tech and telecom circles. Now it's hit the mainstream. HONOLULU (AP) — Hawaii lawmakers are used to hearing the criticism that they often vote in their own interests. Most work outside jobs, and bills often come up that could benefit their sources of income. WASHINGTON (AP) — It started as a fun onstage throwaway line at the Emmy Awards and turned into an unexpected Sunday night flood of attention for the Washington DC public school system. Comedian Dave Chappelle, a DC native and graduate of the District's Duke Ellington School of the Arts, issued a "Shout out to DC public schools" before he started reading the teleprompter to give out an award. NBC gave Scranton The Office. HBO and John Oliver of Last Week Tonight, gave Scranton a toy train set. NEW YORK (AP) — "Last Week Tonight" is going to last a few years longer. HBO says it has renewed "Last Week Tonight with John Oliver" for three additional seasons. This would carry it through at least 2020, with 30 shows presented each season. 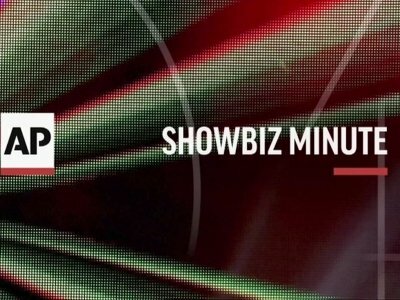 The show takes a satirical look at the past week's news, politics and other happenings, as well as addressing broader issues. It debuted in 2014 and is in its fourth season. This year it is nominated for eight prime-time Emmy Awards. WHEELING, W.Va. (AP) — A federal judge has refused to dismiss a defamation suit against The New York Times by Murray Energy Corp. over an April editorial that described the coal mining company as "a serial violator" of federal health and safety rules. The suit also alleges defamation for saying owner Bob Murray "earned infamy when he falsely insisted that the 2007 collapse of his Crandall Canyon mine, which killed six miners, was due to an earthquake, not dodgy mining practices." OKLAHOMA CITY (AP) — A colorful, mullet-wearing operator of an exotic animal park who ran as a write-in candidate for president is among a group of Libertarian Party candidates planning to run for Oklahoma's open governor seat in 2018. Joseph Maldonado, a self-described actor and musician known as "Joe Exotic," says he will join a crowded field vying to become the state's chief executive. MOSCOW (AP) — A Russian opposition activist has been fined for posting a segment from an American comedy show on social media because the Islamic State group's flag was displayed. BISMARCK, N.D. (AP) — The North Dakota Legislature has passed a measure that prohibits the use of campaign contributions for personal use by politicians. The House passed the bill 75-16 on Tuesday. The Senate passed it 41-4 in February. The measure also requires politicians to report all expenditures. BEIJING (AP) — John Oliver won rave reviews for his "Last Week Tonight" interview showing the Dalai Lama in all his candor and wit. Beijing, however, was not amused. China's foreign ministry on Tuesday said the exiled Tibetan Buddhist spiritual leader had appeared "deceptive" on the HBO show where he criticized some Chinese leaders as small minded and mocked Beijing's portrayal of him as "a demon." GREENWICH — Tickets are on sale for a night of comedy in Greenwich. NEW YORK (AP) — HBO's ads promoting John Oliver on "Last Week Tonight" depict him cowering behind a desk, with the tag line, "Scary times call for a scared man." Be not afraid. Between Oliver's return Sunday from a three-month hiatus and Donald Trump impersonator Alec Baldwin's stint hosting "Saturday Night Live," this is shaping up to be a big weekend in what has already been a promising start to the Trump era in late-night comedy. BISMARCK, N.D. (AP) — North Dakota Democrats and Republicans are pushing separate measures to prohibit the use of campaign contributions for personal use by politicians. NEW YORK (AP) — More than two years after narrowly escaping death in a car crash on the New Jersey Turnpike, comedian Tracy Morgan is ready to give back, and he's doing it on a huge stage. The former "30 Rock" and "Saturday Night Live" star will be among an all-star group of comedians for a one-day benefit in New York for children facing challenges such as homelessness, extreme poverty, illness and foster care. NEW YORK (AP) — Protecting the Earth may not be a laughing matter, nor, for many Americans, is the outcome of the presidential race. Even so, comedians including Seth Meyers, John Oliver and George Lopez delivered jokes Wednesday night to benefit the Natural Resources Defense Council. And also to provide those in attendance at the New York event — clearly not a Donald Trump crowd — a bit of solace. The Montclair Film Festival’s sixth annual benefit will unite two of Comedy Central’s most prominent alums for “Wow, That Was Weird: A Post-Election Evening With Stephen Colbert and John Oliver,” to be held at 8 p.m. Nov. 19 at the New Jersey Performing Arts Center. NEWARK, N.J. (AP) — Stephen Colbert (kohl-BEHR') and John Oliver will join forces for an event that will benefit a New Jersey film festival. The Nov. 19 event at the New Jersey Performing Arts Center in Newark was announced Monday by organizers of the Montclair Film Festival. They say the duo will discuss their creative influences and the political scene as part of an event called "Wow, That Was Weird: A Post-Election Evening With Stephen Colbert and John Oliver." Last Week Tonight host John Oliver turned his attention to charter schools and their shortcomings on Sunday night, using Pennsylvania laws and Philadelphia schools as examples of why he believes the institutions are something of gamble when it comes to education. In just over two days, John Oliver's funny yet poignant segment on his HBO comedy show Last Week Tonight that offered a defense of the beleaguered newspaper industry has racked up more than 3 million views.